Familias Especiales de Santa Julia Billiart (FE) is a ministry that goes door-to-door, person-to-person – and crosses national boundaries. In 1996, the Roman Catholic bishop of Matagalpa, Nicaragua, Leopoldo Brennes, invited the Sisters of Notre Dame de Namur to support families who have children with disabilities. Sister Rebecca and Marlene Hernandez, the mother of a special-needs child, started a neighborhood effort to find families like Marlene’s with special-needs children. Those first one-to-one relationships have expanded to a comprehensive network of services in Matagalpa and a network of support extending to individuals and organizations in over 12 countries. Through this people-intensive outreach, they identified more than 500 families with special-needs children. The foundation Familias Especiales de Santa Julia Billiart (FE) became a legal entity in Nicaragua in 2001. The one-on-one visits connect mothers with each other. The majority are single mothers who are heads of households. For the first four years the organization did not have an office or vehicle, but took as its motto the phrase, “You are not alone.” Most mothers were like prisoners in their own homes before Familias Especiale and they did not have a way to express their needs. Through scripture and prayer these mothers began to understand that together they could make a difference. The person-to-person aspect of this ministry encompasses spiritual and psychological support, various kinds of therapies, and small-business and job training for these young people and their families, most often their mothers. “Mother-leaders” have one-to-one contact with other mothers of special-needs children. The mothers, volunteers, and professionals are involved in setting direction for FE and overseeing its programs. Supporting this extensive network of mothers is an international network including organizations and volunteers from 14 countries. FE also has a special relationship with universities in Spain, the United States, Switzerland and Finland. These involve an exchange of students who learn from professionals in FE and also support programs economically. 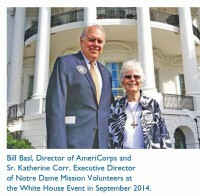 Excerpted and reprinted with permission from the Sisters of Notre Dame de Namur, “Familias Especiales” Goes Door-to-Door – And Nation-to-Nation,” Good Works, pp. 4-7, December 2007. Thirty-three impoverished families in the tiny coastal settlement of Maceió, Brazil, rely on algae harvesting, fishing and lace-making for financial sustenance. Maceió is a Christian Base Community — a group of families that, by living and working together in accordance with the Gospel, liberate themselves from exploitation and minimizing effects of poverty. For the past fifty years, Sisters of Notre Dame de Namur have empowered the people of Maceió through Bible study, community organizing, educational programs, financial assistance and business savvy. 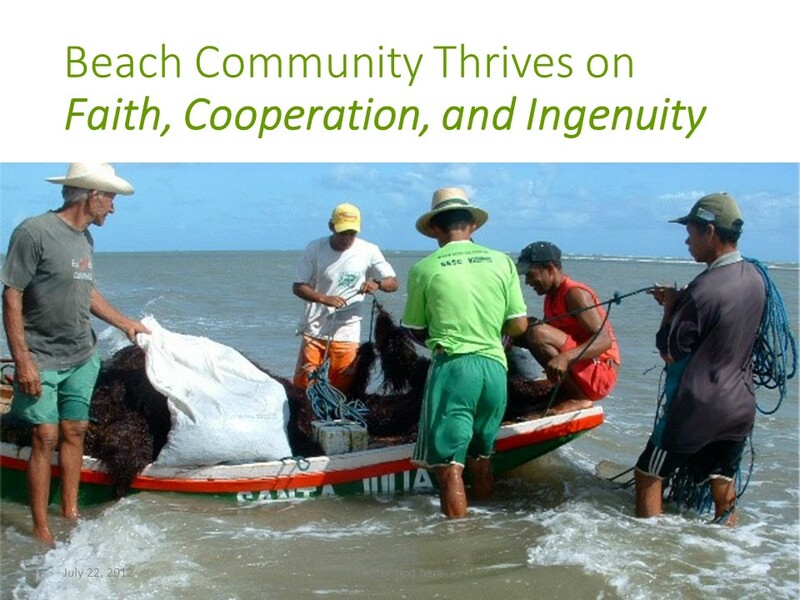 Establishing cooperatives such as the Association of Cultivators of Algae of Maceió (otherwise known as “ACALMA”) is part of the Sisters’ strategy to help indigenous peoples prevent developers from seizing their rightful lands.